A substantial DETACHED family home with an INTEGRAL GARAGE and a separate GARAGE BLOCK offering flexible accommodation that could be easily configured to suit a variety of needs. All situated at the head of a private cul-de-sac in this highly regarded village location. 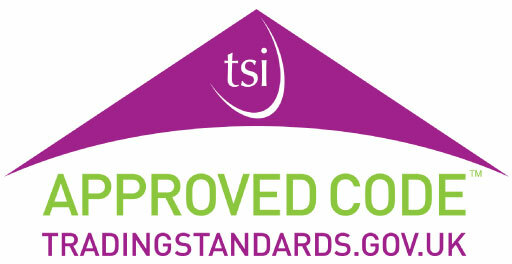 EPC rating C72. 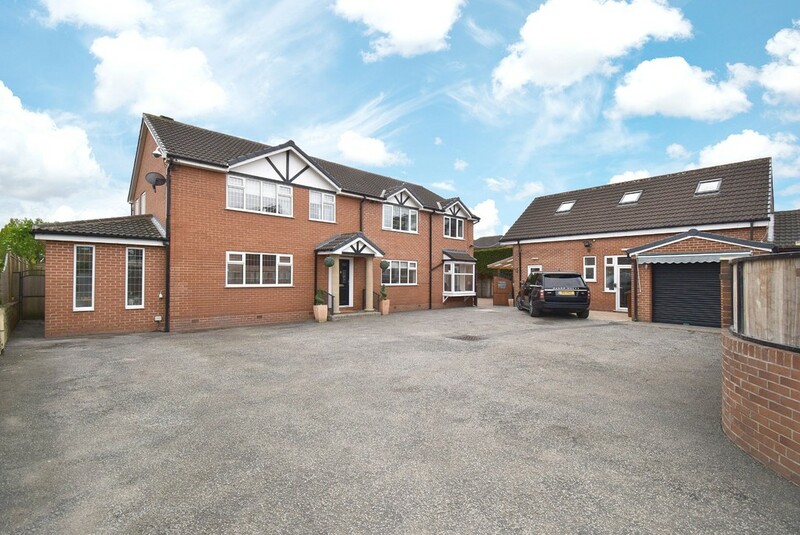 A substantial detached family home with an integral annexe and a separate garage block offering flexible accommodation easily configured to suit a variety of needs. All situated at the head of a private cul-de-sac in this highly regarded village location. With sealed unit double glazed windows and a gas fired central heating system, this enviable family home presents truly flexible accommodation, tastefully finished to an attractive standard. The main house is approached via a reception hall that leads through into an unusually well proportioned dining/kitchen that forms the hub of this delightful home, fitted to an excellent standard. There is a separate family sitting room beyond the kitchen which has double doors that lead through into the main living room that also has double doors leading out to the rear garden. The ground floor accommodation of the house is completed by a utility room and downstairs w.c. To the first floor the master bedroom has a dressing room as well as a separate en suite and bedroom two also has en suite facilities. There are three further double bedrooms, each served by a luxuriously appointed family bathroom in addition to a sixth bedroom/office. Returning to the ground floor, a separate entrance accesses the annex part of the building which has an entrance hall, living room, kitchen and an inner hallway that leads through into an unusually large bedroom suitable for sub division and a shower room. Outside, the property is approached via a wide surfaced parking/turning area that also leads to the detached garage block. The garage block currently comprises of single garage plus an area that has been adapted for business use but would be easily converted to ancillary accommodation or further garaging. The principal gardens lie to the rear of the house which extend into a covered outdoor entertaining and dining area with two substantial wooden stores. The property is situated at the head of a private cul-de-sac in the sought after village of Altofts within easy reach of the local shops and schools. A more extensive range of amenities area available in the nearby centres of Normanton and Castleford. Access to the M62 motorway is readily available. RECEPTION HALL 13' 9" x 5' 10" (4.2m x 1.8m) With a composite front entrance door, double central heating radiator and stairs to the first floor. LIVING ROOM 23' 11" x 7' 10" (7.3m x 2.4m) widening to 3.4m With windows and French doors to the rear garden, further high level windows to the side, two central heating radiators and contemporary style feature fireplace with a log effect built in gas fire. Provision for wall mounted television. FAMILY ROOM 16' 8" x 7' 10" (5.1m x 2.4m) With two tall windows to the front, central heating radiator and double doors to the living room. An archway connects through to the dining/kitchen. KITCHEN 14' 9" x 12' 9" (4.5m x 3.9m) With a large window overlooking the rear garden and fitted with an attractive range of wooden fronted wall and base units with cast stone worktops incorporating a 1 1/2 bowl stainless steel sink unit. Ceramic hob unit with stainless steel filter hood over, built in oven and grill and matching integrated microwave, provision for an American style fridge freezer, integrated dishwasher, integrated wine cooler and breakfast bar. Large porcelain floor tiling leads through into the adjoining dining area. DINING AREA 15' 8" x 13' 5" (4.8m x 4.1m) With a window to the front, continuation of the large porcelain floor tiling, central heating radiator and shadow line lighting. UTILITY ROOM 12' 5" x 6' 10" (3.8m x 2.1m) max With a matching range of base and larder style units with a dark laminate work top incorporating a stainless steel sink unit. Space and plumbing for a washing machine, space for a tumble dryer and a stable style composite door to the rear garden. W.C. 4' 11" x 2' 3" (1.5m x 0.7m) Fitted with a modern white and chrome cloak room suite comprising low suite w.c. with concealed cistern and vanity wash basin with cupboards under. Frosted window to the rear, chrome ladder style heated towel rail and fully tiled walls and floor. FIRST FLOOR LANDING With two loft access points and a built in linen cupboard. MASTER BEDROOM 18' 8" x 13' 5" (5.7m x 4.1m) max With two windows to the front, central heating radiator and an archway through to the adjoining dressing room. DRESSING ROOM 6' 6" x 7' 2" (2.0m x 2.2m) With a window to the side and fitted with a rage of contemporary style wardrobes with matching drawers. EN SUITE 6' 2" x 6' 2" (1.9m x 1.9m) max With fully tiled walls and floor and fitted with a three piece contemporary style suite comprising corner shower cubicle with glazed screen, wall mounted w.c. with concealed cistern and wall mounted wash basin with drawer under. BEDROOM TWO 12' 9" x 7' 2" (3.9m x 2.2m) plus 2.3m x 1.9m With a window to the side, double central heating radiator and bark laminate flooring and en suite. EN SUITE 7' 6" x 2' 11" (2.3m x 0.9m) Fitted with a three piece white and chrome suite comprising shower cubicle with glazed door, pedestal wash basin and low suite w.c. Chrome ladder style heated towel rail. BEDROOM THREE 14' 1" x 9' 2" (4.3m x 2.8m) With a window to the front, central heating radiator, laminate flooring, built in wardrobes. BEDROOM FOUR 12' 1" x 11' 9" (3.7m x 3.6m) With laminate flooring, two fitted wardrobes and matching cupboard, window to the front and central heating radiator. BEDROOM FIVE 12' 9" x 7' 10" (3.9m x 2.4m) With a window overlooking the rear garden, triple fronted fitted wardrobe with matching cupboard and laminate flooring. Central heating radar. OFFICE/BEDROOM SIX 11' 9" x 7' 10" (3.6m x 2.4m) With a high level window to the side and a Velux roof light for additional light. Central heating radiator and laminate flooring. BATHROOM/W.C. Lavishly appointed with part tiled walls and a three piece suite comprising deep whirl pool style bath, vanity wash basin and low suite w.c. with concealed cistern. Window to the rear and chrome ladder style heated towel rail. ANNEX Originally planned as accommodation for a dependant relative but currently used as office space. ENTRANCE HALL 7' 6" x 5' 6" (2.3m x 1.7m) plus bay window With a square bay window to the front, external door to the side and laminate flooring. LIVING ROOM 14' 5" x 13' 1" (4.4m x 4.0m) With a window to the front, central heating radiator, a currently sealed connecting door to the main house. KITCHEN 10' 2" x 7' 2" (3.1m x 2.2m) Fitted with a range of white fronted wall and ball units with contrasting dark laminate work tops and stainless steel effect splash backs. Inset stainless steel sink unit, four ring stainless steel gas hob with filter hood over, built in oven, space for a tall fridge freezer and plumbing and space for a washing machine. Window to the side. INNER HALLWAY With a door to the bathroom. BATHROOM/W.C. 9' 6" x 4' 11" (2.9m x 1.5m) Currently with two separate toilet cubicles but about to be re-fitted to a contemporary style shower room. OFFICE 24' 7" x 9' 6" (7.5m x 2.9m) With three windows to the rear plus an external door to the side, two central heating radiators and ideal for sub division to create at least two bedrooms. OUTSIDE The property is approached via a automated gate that leads to a broad parking/turning area in front of the house that in turn leads to the detached garage block. To the side of the house there is a block paved patio sitting area with a good degree of shelter and a timber storage unit. To the rear of the house there is a sheltered lawned garden with tall boundary hedge, block paved areas as well as a covered bar/alfresco dining area with electric light and power, a wood burning stove and a further timber storage unit. Detached garage block measuring 24' 3" x 19' 8" (7.4m x 6.0m) internally. Formerly a double garage and currently utilised as a small business space. A further single garage to the side with an automated up and over door to the front and measuring 20' 0" x 8' 6" (6.1m x 2.6m) and ladders style staircase access to the first floor. DETACHED GARAGE BLOCK 24' 3" x 19' 8" (7.4m x 6.0m) Former double garage, currently utilised as a small business space. GARAGE LOFT AREA 32' 9" x 13' 1" (10.0m x 4.0m) With three Velux style roof lights as well as frosted window to one side and a Juliet style balcony to the other. This area also incorporates a small storage cupboard as well as a small cloakroom with w.c facilities. PLEASE NOTE This property is located in an area which may be affected by the proposed Phase Two of the high speed rail network link known as HS2. A map showing the proposed route is available from our Normanton office. Full details are available online by visiting the HS2 portal at http://www.hs2.org.uk.